Randal was contracted by Wilson Sporting Goods to do a series of illustrations for their tennis product catalog. 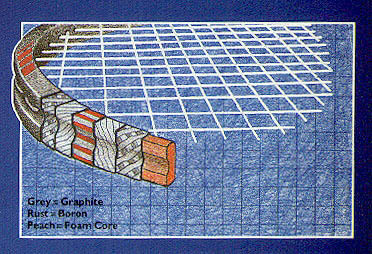 Each racquet in the catalog featured a cutaway illustration showing the layers and materials used in its construction. Each illustration was done by hand with pencil and color pencil on 100% cotton drafting vellum for that “techie” look.